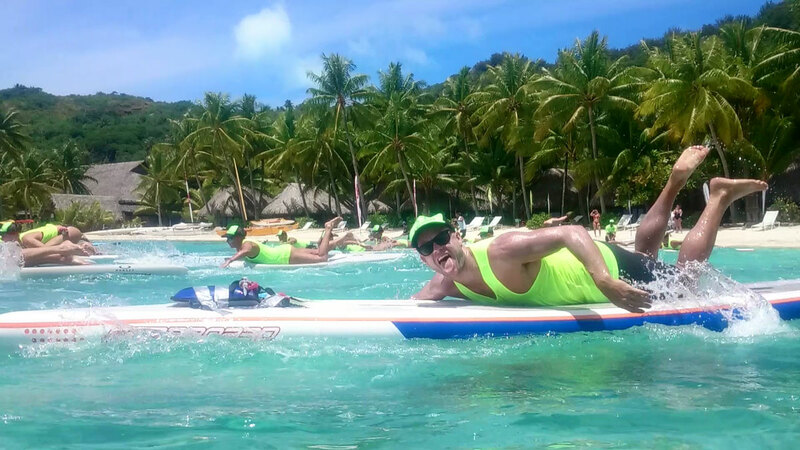 Welcome to our rolling coverage of the 2014 Bora Bora Liquid Festival, aka Ironmana, aka Four Days Of Pain In Paradise. The Ironmana is an event like no other: A brutal combination of stand up paddling, prone paddleboarding, swimming and running, all held in one of the world’s most beautiful locations – the paradisiacal Tahitian island of Bora Bora. Congratulations to every competitor that toughed it out, particularly the overall Ironmana 2K14 champions Tamarua Cowan and Morgan Hoesterey. That was a brutal week. You can relive the live blog below (aka my daily descent into madness).